It’s quite odd to see the Kid Icarus franchise revived by Kirby and Super Smash Bros. creator Masahiro Sakurai, especially after 20 years since the last Kid Icarus game was released. Perhaps the success of Pit’s appearance in Super Smash Bros. Brawl brought about the franchise’s revival. Whatever the case, now in 2012, we have Kid Icarus: Uprising, perhaps the most anticipated game released for the Nintendo 3DS, and one that transforms the Metroid-esque platformer/shooter to an intense flying/rail shooter/action game, running the gambit of game styles. As a result, Kid Icarus: Uprising‘s soundtrack is all about action and light hearted adventure. Yet it is also one of Nintendo’s only full orchestral soundtracks and was an extraordinarily large achievement. Sakurai asked several composers from Super Smash Bros. Brawl to compose the soundtrack, namely Motoi Sakuraba, Yuzo Koshiro, Masafumi Takada, Noriyuki Iwadare, and Takahiro Nishi, all of them experienced veteran game musicians. Yasunori Mitsuda’s production studio also supported the game in several respects — focusing mainly on orchestration, to programming, to sound design. 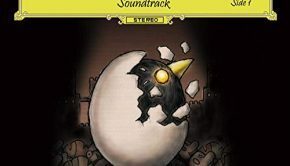 Several months after the game was released, Mitsuda’s record label Sleigh Bells published a three disc limited edition soundtrack featuring all the music from the game. Is this the best soundtrack Nintendo has produced to date? Before I proceed with the bulk of the soundtrack, a note must be made of the presentation of the music, both here and in the game. The game’s stages (denoted as “chapters”) are divided into three parts: flying stages, ground levels, and boss battles, and the music of the soundtrack follows suit. Flying stage music features typically fast-paced musical sections that transition quite cinematically to reflect the amount of things going on screen at a given time. Ground level music, on the other hand, are meant to be looping orchestral tracks, and typically take some type of musical idea introduced in the flying stage and expands on it, albeit at a slower rate. There are also only two boss battle themes. Now, in game, the music in the flying stages will often stop before transitioning into another dramatic section. This is reflected as well in the soundtrack’s presentation, which doesn’t have much smoothness in its transitions, and can be a bit noticeable from time to time. With that out of the way, let’s dive into Pit’s new adventure. There are several major themes appearing throughout Kid Icarus: Uprising. The primary theme here is also the main theme from the original Kid Icarus, composed by Hirokazu Tanaka way back in 1989. This theme appears as early on as the game’s “Opening”. Starting with a small flying sound effect, this short cinematic jumps right into a rendition of the original Kid Icarus theme, lovingly orchestrated by Yasunori Mitsuda. There is also the menu theme “Main Theme,” which features the original central theme for Kid Icarus: Uprising, composed by Motoi Sakuraba. This track is strangely placed at the end of the commercial soundtrack, whereas in the abridged Japanese Club Nintendo release was actually the second track. Nevertheless, the theme itself is uplifting and celebratory, still possessing that Kid Icarus joy, while having some romantic elements in play, and an ethnic drumming going off in the backgrounds. The trumpets and string work are excellent here, and a soft spot in the theme which shows up briefly at the 1:15 mark, is incredibly lovely. While fantastic, note it is somewhat of a misnomer. Though it is the “Main Theme” of Uprising it is not the main thematic element in the game, as that spot actually goes to the aforementioned orchestral renditions of the original Kid Icarus theme. As early as the tracks for the first chapter, listeners witness the juxtaposition of these themes. The flying theme “Chapter 1: The Return of Palutena” initially reintroduces the primary theme in bright, orchestral cheeriness, before becoming a dramatic fanfare piece. The music drops, and drooping strings signals Pit’s dive through the clouds. The music picks back up and becomes cheery and heroic as the first battle continues. Finally, the strings pick up quickly as Pit approaches the first ground level, the main theme returning as Pit finally lands. The secondary theme, by contrast, forms the basis of the first ground level based theme “Chapter 1: The First Town”, serving as the centrepiece of a very bold, heroic, and fun orchestration. Moving to the main boss battle theme, “Boss Battle 1” is one of the few compositional contributions by Yasunori Mitsuda. He uses a rollicking electric rock style, while continuing to advance its melody using the orchestra. It is a direct expansion on the second half of “Opening,” and it sounds fantastic, and is in my opinion one of the best boss themes I’ve heard. It’s a shame then that it is used for literally every single boss battle in game, becoming repetitive for anyone who’s played the game. Still, it’s perhaps much more enjoyable outside of its intended context. With these three tracks we have the majority of the styles used in the soundtrack, and believe me, they’re all just as fun to listen to. Shifting to Yuzo Koshiro’s first offering, “Chapter 2: Magnus and the Dark Lord” is more of a chaotic flying piece, using uprising strings before dropping once more, both chaotically and dramatically. It truly reminds me of some of Hollywood’s “Silver Age” movie compositions — it’s seriously that impressive. After another rapid section, which sounds both epic and silly, we hear the main Chapter 2 motif loud and clear, even combining certain choral elements. “Chapter 2: Dark Lord Gaol’s Castle” uses the Chapter 2 theme in a dark way, before becoming a decent militaristic march. “Magnus’ Theme” shifts completely to full on heroism, featuring a beautiful string and trumpet based melody, which automatically makes this an early soundtrack highlight. Yuzo Koshiro truly shows his stuff with this piece, and it’s unfortunately never really developed upon later in the soundtrack. “Chapter 3: Heads of the Hewdraw” opens up with some intensity in action, while shortly thereafter developing its main chapter motif: a fun adventurous theme. The track transitions using the primary theme, before becoming a bit of a darker piece. The polished string work here really throws everything into a frantic energy. From about the 2 minute to 3 minute mark, the music unfortunately becomes a bit repetitive to represent the air battle between Pit and the Hewdraw monster, but the music goes through several chaotic transitions making this more of a non-issue. “Chapter 3: That Burning Town” on the other hand is a very fun and enjoyable adventure theme. Its most akin to “Chapter 1: The First Town” perhaps unsurprisingly, though perhaps I enjoy this theme more. Motoi Sakuraba returns to the head of his game in “Chapter 4: The Reaper’s Line of Sight”, incorporating both the primary theme and the “Reapers” alert from the original Kid Icarus. After an epic introduction, once again showing some of Pit’s antics, heroics, and tensions, the music grows dark thanks to a deepened male choir. From here the music diverges to include orchestra, synth, and electric guitar, along with a sweet melody line. The guitar work, provided by Mitsuhiro Ohta is simply fantastic. The music goes dark once again and we are led straight into the Reaper Fortress thanks to the male choir. “Chapter 4: Reaper Fortress” builds on the first few minutes and the musical motifs of “The Reaper’s Line of Sight” incorporating more of the choir, and on a march-like percussion rhythm, while still maintaining the spirited energy, seemingly contrasting with the darkness of the track. 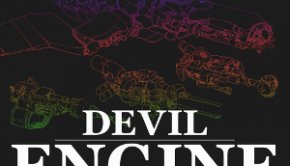 It contains its fair share of epic trumpet blasts, though perhaps due to the contrasting nature of the track it isn’t as strong as the other ground stage themes. Masafumi Takada’s “Chapter 5: Pandora’s Labyrinth of Deceit” represents the soundtrack’s first major tonal shift. It begins with an orchestral flourish before a mysterious synth moves in, and soon the whole track transitions into a pulse-pounding synthetic rhythm. There isn’t much of a melody at this point, but pretty quickly the orchestral bit comes in once more in tandem with the synth, filling the track with a touch of tension and mystery. In a very entertaining twist, the secondary main theme comes in, but sounds a bit off… the record literally scratches and returns to the synth section beforehand, and then goes backwards and speeds up representing the changes in action in game. The music then goes through a few more changes, and for the last 30 seconds a whole new synthetic style and rhythm takes over. Somewhat exhausting and cumbersome outside of its intended context, Sakuraba nevertheless entertains with a constant sense of unknown in the track, easily fitting like a glove during the in-game stage. “Chapter 5: Into the Labyrinth” has another interesting choice of synth rhythm, while relying on a floaty piano line and some bells towards the end of the track, to extend its air of mystery. Once again interesting, but not especially memorable. “Chapter 6: Dark Pit,” on the other hand, is one of the soundtrack’s main highlights. Featuring a Spanish-styled acoustic guitar melody, and later on introducing a bass, drumset, and organ based rhythm, this track constantly moves on a very atypical energy that’s rarely seen for “dark character themes.” Though there are several in-game pauses in the track that some may find distracting, it works wonderfully well throughout, becoming a stunning combination a Spanish flamenco with a jazzy, unplugged performance. “Chapter 6: Ruins of the Temple” strips everything down to the bare-bones acoustic guitar melody, and it works just as well in this truncated form. Thanks to another acoustic guitar providing the rhythm line, the track sounds even more Spanish than its former track. The melody itself, has both the right amount of romanticism and “dark edginess” to make it incredibly memorable. 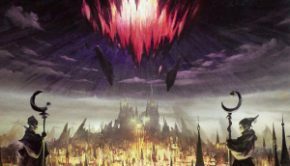 “Dark Pit’s Theme” reunites several of the jazzy elements of “Chapter 6: Dark Pit,” along with some orchestral pounding elements to make the track even more dramatic. Still as effective as ever, though personally I prefer the other renditions of the theme. “Chapter 7: The Seafloor Palace,” opens interestingly enough with a very Arabic styled version of the “Skyworld” theme from Kid Icarus. Very different and ethnic, and yet quite a welcome change of pace and variety. This doesn’t last long enough before we are launched into an underwater ride, with the music complementing the location extraordinarily well. With a playful, adventurous melody, and some gorgeous string work, the track is simply brimming with discovery, mystery, and fast paced movement: perfect for the intended location. You can almost hear the waves crashing through the music! Sakuraba amazes once again, however, “Chapter 7: At the Seafloor Palace” leaves much to be desired especially after the amazing performance of the last track. It does not take any real main idea from “The Seafloor Palace,” and instead uses a silly, almost bouncy, mystery theme, that does sound like if Pit himself was playing in an abandoned palace. (Except…well he’s still fighting rather than playing). It also has some “sudden” orchestral elements that give it a fighting sense to a point. It’s somewhat effective in game, and it’s interesting to listen to, if only for how different it is from everything prior to it. Noriyuki Iwadare takes over the next chapter block of tracks, and seriously impresses. “Chapter 8: The Space-Pirate Ship (Route A)” is yet another great addition to the soundtrack, once again beginning with the Kid Icarus main theme in tow, and with heroics and adventure at full force. The track keeps going cinematically, until it fanfares up around the 2:20 mark, and changes to allow for some more “spacey” elements to work in. After a few seconds of this, the main melody is finally introduced at the 3:10 mark — a bold theme that recalls some of the best swashbuckling movie themes around. Once again, it is just that good. Iwadare offers triumphant horn blasts and a constantly energetic string section, and plays with both fabulously. “Chapter 8: The Space-Pirate Ship (Route B)” unfortunately falls a bit short of the mark, since it is essentially a retread of the last minute and thirty of Route A done alternatively when Pit falls underwater during the level. Although it features a bit more of a dramatic orchestral flare, the soundtrack annoyingly uses a dampening effect as in the game (since Pit is underwater… in space), and it just doesn’t sound clear. I can’t understand why they would keep this effect in the soundtrack. Otherwise, after about a minute in, the music becomes identical to the main melody motif in “Route A”. “Chapter 8: The Space-Pirate Ship” rolls along with a slightly slowed down version of the main melody, and it still sounds just as great! The theme is remarkably enjoyable, and overall Chapter 8’s music is simply wonderful. “Chapter 11: Viridi, Goddess of Nature” not only starts out with a completely different feel than the rest of the soundtrack, but also introduces a new character and her own, very impressive theme, Viridi. Unfortunately, the track suffers from its usage of MIDI, especially when the track relies so heavily on orchestral elements. Thankfully, the music is still very well composed, and it goes through several dramatic twists and turns. It just sounds jarring for the quality to change so much. “Chapter 11: Reset Bomb Forest” doesn’t fare much better, though it takes Viridi’s main motif and goes for a wider sense of discovery. The bells/wood chimes used, which adds to the sense of nature, sound particularly nice. However, the sound still doesn’t sound quite up to par to what we’re used to so far. Yuzo Koshiro composed Viridi’s theme, and thank goodness does it shine in “Chapter 12: Wrath of the Reset Bomb,” once again returning the orchestra into the mix. The music sounds absolutely fantastic, and really makes the nature imagery really shine out much more, while returning Pit to his heroism. Around the 1:30 mark, there is a fast paced section representative of a mid-stage boss fight, which continues for quite some time, almost leaning on repetitive. However, the constant change in instrumentations and melody really save it, and once again reminding me of numerous Hollywood-style chase scenes. At 3:17, the music drops and a massive explosion is heard, which although somewhat funny and very well placed considering the game’s context, it may take some listeners momentarily out of the music. I will admit, it’s actually a very good transition for the music, as opposed to the usual brief silence. The music returns to its usual drama and playfulness, before wrapping up. All things considered, it is an excellent track. “Chapter 12: Reset Bomb Depot (Exterior)” goes for orchestral tension and anticipation, with some jazzy elements thrown in for good measure. The orchestral breakdown at the minute mark is especially effective and a good pay off to the buildup. On the flipside, the interior version goes for a more dramatic interlude, building up more mystery than the previous track, along with an airy choir element. It sounds like a dark calm before the storm. Very well done by Koshiro. “Chapter 13: Silence of the Moon”, composed by Takahiro Nishi, wind up being one of my favorite tracks. While absent from the soundtrack release, it starts off with a very silly section in the game, where Pit actually sings here! “Again today I will go soaring through the sky! My enemies, I’ll dish ’em up in a stir-fry! Gracious goddess of light watches from up above! At dinnertime I always show the cook some love!” Although incredibly silly, it’s actually pretty funny and I slightly miss it on the soundtrack. Regardless, after the orchestra does a fine job without the voice acting. After a few seconds of this, the music essentially transitions to become a tribute to science fiction, of all things, following the stereotypical space-opera style of scores which the soundtrack has more or less borrowed from throughout. It sounds absolutely fantastic, and reminds me of the Star Wars scores in many ways. It’s unfortunate then, that “Chapter 13: The Lunar Sanctum,” headed by Koshiro, takes the excellent motif found in the above track, and MIDIfies it. Once again, it just doesn’t sound as good overall. However, the dynamics shift once again, in Sakuraba’s excellent “Chapter 14: Lightning Battle,” a super-fast rock-oriented track, with various dramatic orchestral elements scattered about. The electric guitar, once again provided by Mitsuhiro Ohta, states the main musical motif, along with several cool rollicking moments. The somewhat cheesy synth effects here are actually very effective as well. The track simply works, thanks to a bewildering sense of speed, and gloriously adapts Sakuraba’s signature style to a lighter setting. 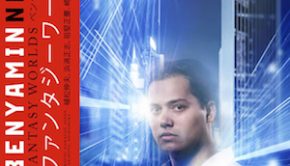 “Chapter 14: Thunder Cloud Temple,” while at first sounding like something out of a cheesy training montage, is also very effective, thanks to the main Chapter 14 motif moving into both electric guitar and orchestral sections simultaneously. The romantic and rocking moments of the trackare still just as fun to listen to as the rest of the soundtrack. “Chapter 15: Mysterious Invaders” begins the final “arc” of Disc 2, which involve, you guessed it, aliens invading the Kid Icarus world. As a result, Koshiro’s track begins with a somewhat unnerving and creepy synth progression that sounds completely foreign to the soundtrack so far. However, soon a groovy synth line comes in, along with a 70’s styled orchestral melody, giving the alien feel a very cool and dramatic flavor throughout. At the two minute mark, we are given a new character theme for Pyrrhon the sun god, who is a macho, yet very silly and eccentric character. His theme is thus dramatic, but has a very fun and silly styled rhythm to it, like as if he were to be the main hero of this story… but not quite. The rest of the track plays around with his theme in junction with the previous “war against aliens” motif, along with a “falling” version of the primary theme thrown in for good measure. However, nothing sounds as different as “Chapter 15: Alien Invaders” which is very… odd. Not bad. Just odd. After creepy strings introduce the song, the soundscape goes through a vacuum. Reduced to a buzzing sound and a few hip-hop-styled strings and drums. The music returns dramatically along with the rhythm, and several other sci-fi sounds, before turning into a large jazz ensemble, with a fun style throughout. The direction is much appreciated thanks to all the sci-fi weirdness going on, but it still sounds rather odd, even in-game. “Chapter 16: The Aurum Hive” returns the soundtrack back to its more dramatic roots, going for full sized tension and combat, while still playing around with the previous themes and sci-fi effects. The “Aliens” theme returns in full force. The track progresses naturally into more and more chaos, increasing the tempo, while sounding more and more romantic in several ways, and much more dramatic. We also get a new “Unity” motif here, as all the heroes and villains of the game unite against the alien menace. The theme is particularly effective, and we’ll hear it pop out later on. “Chapter 16” thus winds up being another soundtrack highlight. “Chapter 16: In the Aurum Hive” starts out with an otherworldly synth, before transitioning into another dramatic MIDI/synth track. It’s a bit stronger than the other MIDI tracks we’ve encountered so far, thanks to the sci-fi effects going on here and there, but once again lacks a bit of that orchestral power. Sakuraba takes over for the last three tracks of Disc 2, focusing exclusively on the last struggle against the alien threat. “Chapter 17: The Aurum Brain” once again uses the “Unity” theme in battle and march kind of way, as everyone heads in for a final conflict. On slowing down, we hear several instances of the “Unity” theme trying to break free. An intense synth rhythm then takes over, as Pit heads into the heart of the conflict. Chaotic sound effects fill the air however very briefly, followed by fast paced, escape music, and suddenly… Pyrrhon’s theme returns, darker, and with evil sounds surrounding its edges. The track transforms to a battle version of his theme as it climaxes and closes. The theme returns stronger than ever in “Chapter 17: Aurum Brain’s Fortress (First Half)” now in full gear for a final conflict. It sounds absolutely fantastic, and is another soundtrack treat, filled with very complementary sound effects. The “Alien” theme also makes a return in a dramatic way, as the battle wages on. However it’s the “Unity” motif that really makes the track stand out, along with an intense orchestral breakdown section that occurs near the middle and end of the track. Sakuraba simply continues to delight and surprise with the quality of these tracks! The track ends in a mysterious way, with bells and synths filling the soundscape. Closing out Disc 2, “Chapter 17: Aurum Brain’s Fortress (Second Half)”, is essentially the same as the previous track, opening with an incredibly triumphant version of the Kid Icarus main theme and ending on a more dramatic note. Masafumi Takada introduces us to the third disc with “Chapter 18: That Town Three Years Later: Little Girl” and its counterpart “Dog”, which serve as transition pieces for one of the biggest surprises/story arcs in the game. The melody which both pieces follow is very pleasant, and actually offers a very beautiful respite, featuring a fantastic violoncello solo. “Little Girl” is a slowed down rendition of the theme, with a solo female voice and some synth thrown in the mix, that for reason is a bit too loud in comparison with the rest of the soundtrack. “Dog” on the other hand has a more festive approach to it, still featuring the solo, but now with an ethnic styled drumming and rhythm. Beautiful all things considered. This track also doubles as the “Wi-Fi Match Waiting Room” theme for Uprising. Of course, it’s only a matter of time before we have to leave this brief interlude and go straight back into the rush of things, as Sakuraba returns for “Chapter 18: Three Years.” This track opens up with Viridi’s theme, which continues verbatim until around the minute mark, wherein it becomes more chaotic, until it finally settles down to reveal a brand new theme. During this last new story arc, we are introduced to the “Tragedy” theme, a very solemn and beautiful theme that represents a certain character’s change in attitude. For the first and sadly only time in the soundtrack, we get a wonderful soprano solo from Midori Sakai, which is simply amazing and combines very well with the tragic drama suddenly besetting Pit’s world. Takada’s “Chapter 19: The Lightning Chariot” picks up right where we left off, with a beautiful sense of gloom and doom, which is quickly superseded with the sense of childish movement from Pit and the orchestra, although now it has become more refined and pensive in many ways. However, there is tad bit of tension and battle working as Pit moves to another location. The music builds up to a surprising sense of peace and quiet, as Pit traverses the edges of space once more. With plucked strings, and wondrous and romantic melody in the air, Pit continues his voyage. At the 3:25 mark, intense taiko drums pick up the speed, giving it a sense of Eastern flare and battle all of a sudden, amidst silence. The melody picks up once more, as Pit descends to his destination. “Chapter 19: Sanctuary of the Galaxy” has a good melody, good rhythm, and good use of acoustic guitar, once again going for a touch of Eastern flare once again. However, this track has a very annoying whistle like effect, that I kid you not, sounds like a bee is going to attack you. I don’t know why it’s here, but it’s nominally distracting, even in game. It’s also probably a sound produced by an instrument, but I am unable to identify which one. A good track otherwise with a sense of “preparing before a war”. Sakuraba helms up the next batch of tracks, beginning with “Chapter 20: Soul of the Goddess,” which sound something out of an on-rails arcade shooter. Fast-paced techno and chaotic synths abound, with a brief statement of “Main Theme,” but otherwise no real melody. Not the best track, but an acceptable change of pace. We then come into the excellently composed “Chapter 20: Destroyed Skyworld,” bringing out the “Tragedy ” theme once again to the forefront, but not before spending the first minute and half on militaristic action, which sounds great and adds up to the tension. When the theme comes into play, it sounds magnificent, and truly seems to be the very end of the game. In fact, when considering it, this would make the perfect last stage theme. The theme building as Pit soldiers for one last conflict is…well silly in context, but actually very profoundly stated within the music. But, the show must go on, as we encounter “Chapter 21: The Chaos Vortex,” and par for its name, it truly is chaotic, going for a desperate struggle, almost horror-like feel. The sections change at an almost baffling rate, going for mystery, shock, and continued struggle. The piano tapping and chaotic arpeggios are extremely effective. But it’s the overall theme, and strings/brass work that energize the track to an extreme level. However, the best comes at the 2:40 mark, as the “Tragedy” theme returns once more in a triumphant yet desperate way, sounding almost like a final boss fight in all truth. The last minute and half of music to this track are simply some of the best on the soundtrack, sounding dramatic and epic, yet maintaining a sense of doom and romanticism. The follow up theme, “Chapter 21: Chaos Island,” returns both the “Chaos” theme and “Tragedy” theme, in a slower way, but maintaining the same constant feel as “The Chaos Vortex.” Sakuraba has outdone himself again. The orchestrations of these two tracks by Natsumi Kameoka also deserves special notice, as the orchestra sounds especially strong during these two tracks. Iwadare’s “Chapter 22: Scorched Feathers,” on the other hand, which is the longest track so far at almost 9 minutes, is probably the most disappointing track in the soundtrack for me. Once again, this is due to the fact that it is once again only MIDI and not truly orchestrated, which is a shame considering the length of the track. The track tries to sound dramatic, and goes through several different sections, including reintroducing Hade’s theme, a fast paced chaotic section recalling a part of “Chapter 2’s” music, and a somewhat pleasant mystery section. The primary and secondary themes for the game also play some roles in this long track, but overall the main melody idea never truly pans out, and the length does not help out at all. As the title would suggest, “Chapter 23: Hades’ Final Battle” plays off of the same music from “Chapter 9: Medusa’s Final Battle,” featuring a much longer intro, which the track continues to use, extending the melody several times. Around the minute mark, the music goes into the more quiet, dramatic, and tense sections of the music, before going into the chaotic passages, and then straight up diverging into “Hades’ Theme,” sounding great overall. After going on for a while, the music enters a climax, grows quiet, and then ends on a thunderous and chaotic boom. “Chapter 23: Hades’ Belly” seems to start off where we left off with a slowed down and much darker rendition of “Hades’ Theme,” but this quickly changes into a strange combination silly oboe thumps, with dramatic flashes of orchestra, and…heart beating sounds? Well, it does make sense considering the location. The track is certainly not the best, but is once again an interesting combination of orchestra with sound design, and combined with the narrative’s general silliness, it all works. Koshiro takes over for “Chapter 24: The Three Trials”, which essentially marks a return of several in game tracks… with certain twists. The track opens up with the intro of “Reset Bomb Depot (Exterior)” and quickly becomes pure Kid Icarus NES music from the original game. This continues for a while before becoming the central music from “At the Seafloor Palace” along with the opening sound effects from “Mysterious Invaders” mixed in atypically, just seemingly popping in from nowhere. It then drops, and becomes backwards sounding, with a strange synth overlay on the ending portion of “Silence of the Moon” making it sound like its coming from a tunnel, and then it speeds up (quite humorously), until everything just drops into an eerie sound, which starts pumping and moving upwards until it becomes, and I am not joking, something that sounds like the THX logo effect. Quite a strange little track, and definitely not one of my favorites, but at least it creatively blends a number of tracks together creatively… even if the selection presented is a bit haphazard. We now come to our final level/final boss track, “Chapter 25: The War’s End,” which can be best described as “Hades’ Theme” completely overblown. Being the longest track in the game, at 10 minutes, it goes through several different shifts in both tempo and music, and includes some very inspired and heroic references to the Kid Icarus main theme, as Pit engages in a final battle with Hades himself. I find it very hard to keep up with all the changes going on in the track, so I won’t describe it all here, since it essentially involves “final battle gloom and doom,” but it is still a very creative and effective collaboration from Sakuraba and Iwadare. The ending of the track, which uses the secondary main theme, especially reaches an amazing crescendo for the entire soundtrack. Lifted straight from the original game, “Peace” is a simple 8-bit fanfare using the Kid Icarus motif that plays both on the Home menu for the 3DS when the game is selected, and right after the final battle. It’s a nice little throwback to the game that started it all. “Triumphal Return” thereafter uses and extends a very pretty melody found in “Return of Palutena”, along with very delightful extended versions of both the primary and secondary main themes. It is simply beautiful and a great ending theme for this whole adventure. It cuts off suddenly to “Staff Roll,” another soundtrack highlight, as it takes several themes and collects them together into a very well made suite. Starting off with the best version of the Kid Icarus main theme, it moves into the familiar and lovely “Dark Pit’s Theme”, before going into the adventurous “The Space Pirate Ship” theme, and later transitions into a great rendition of Viridi’s theme. We then have Pyrrhon’s theme and a lovely version of the Tragedy theme, before returning into one last version of the primary main theme, sounding off one last triumphant musical statement before bringing the game to a fantastic close. Sakuraba, you’ve done it again! And we’re once again, not done! The amount of music in this soundtrack is simply mind boggling. The last few tracks are all essentially menu themes. There’s the aforementioned “Main Theme”, as well as several variations. There is a slowed down and relaxing version of the theme called “HOME”. It is quite lovely, and a very good break from all the action encountered in game, considering its menu context. The romantic elements of “Main Theme” especially work here, particularly the flute solo, though it still possess a sort of “ethnic” silliness, like something out of a dreamy carnival. “Everyone” on the other hand is a dramatic MIDI version of “Main Theme” used during the multiplayer menus. It works well, going through several musical transitions (the same as “Main Theme”), despite its diminished sound. “Match Results” is a brief Kid Icarus main theme fanfare, once again in MIDI, used for results during multiplayer matches. “Boss Battle Victory” is perhaps the most triumphant version of “Main Theme” heard in the whole game, and sounds very good and in and out of context. “I’m Finished” is a very short “game-over” fanfare that is actually… very impressive, and you don’t get that every day out of game over screens. Using an orchestral version of the original Kid Icarus game over jingle, the way it quickly transitions into an 8-bit version of said theme is absolutely genius, and actually makes having a game over kind of funny (or infuriating depending on the difficulty level). And at last, we come to the very last track, covered this time by Koshiro. “HOME (Viridi)” is a menu theme that plays at a specific point in the narrative, and it is never used anywhere else in the game. And it is perhaps the most lovely and beautiful track in the game. It recalls the “All-Star Rest Area” from Super Smash Bros. Melee, and that is in no way a bad thing at all. Absolutely amazing, and a good way to cap off this wonderful soundtrack. In terms of releases of this soundtrack, it is unfortunate that this complete release of the soundtrack was only made for a limited run, and is no longer available. There is a Japan-only Club Nintendo release, but it only includes about a third of the tracks included here. Nintendo, and Mitsuda’s record company Sleigh Bells, would be wise to release the complete soundtrack again and should localize the music with the help of Wayo Records. After all, this is simply the best soundtrack release Nintendo has ever done. It is no surprise why Kid Icarus: Uprising managed to win the site’s Best Score award in the Eastern category. It is the best modern Nintendo soundtrack, beating out the likes of The Legend of Zelda: Skyward Sword and even Super Smash Bros. Brawl, which utilized all of the composers represented here. Despite some complaints here and there, it is a delightful, engaging, and fully complete soundtrack, which actually makes the game a joy to play. The music works both in and out of context, so check it out sometime in either format. It is truly worth the adventure. Posted on August 1, 2012 by Julius Acero. Last modified on January 16, 2016. Julius Acero I recently graduated with a BA in Cinema & Media Arts from Biola University in LA, and am currently attempting to break into the film and television industries. I grew up listening to and learning from classical music and famous film scores, and absolutely fell in love with the orchestra at a young age. When I was 10, I began playing Nintendo games and became enamored with the music from Super Smash Bros., The Legend of Zelda, and the Mario series, just to name a few. Now, I continue to follow scores and composers, both eastern and western, and am continually surprised by the power and emotions behind their works. Above all, I am blessed to be part of such a creative community, and hope to further hone my own skills through this wonderful art form!